The long-wait is over. The Trump administration has revealed the names of the four people who could, possibly, maybe hold key federal management positions. It was like someone poured an entire bottle of Drano to move the clog that has backed up White House personnel. On Sept. 2 at around 7:49 p.m., the White House announced President Donald Trump intends to nominate 42 people to fill senior roles in his administration. The most important of which—at least for the federal technology and acquisition communities—are the long-waited, much anticipated nomination of Emily Murphy to be the administrator of the General Services Administration. 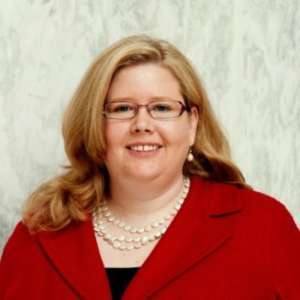 Murphy has been a senior adviser at GSA since January when she went there from the House Armed Services Committee. While just as important, the White House finally revealed the names for two of five management positions at the Office of Management and Budget–Frederick Nutt for controller and Margaret Weichert for deputy director of management. Nutt had been rumored to be in line for the controller position, serving as senior adviser at OMB and having served in key management roles in the administration of President George W. Bush. Nutt, who would replace Dave Mader, who now works at Deloitte, spent the last five years in senior advisor roles at the Overseas Private Investment Corporation, where he was responsible for managing financial resources supporting information technology, acquisition, facilities, and security operations. He also was director of IT acquisition at the Millennium Challenge Corporation from 2006 to 2012, and was senior advisor to the chief financial officer at the Environmental Protection Agency where he worked on implementing the President’s Management Agenda, and the migration of select financial management systems to federal shared service providers, from 2002 to 2006. Additionally, Nutt worked on budget and appropriations legislation in the House of Representatives, while serving in the Office of the Speaker, from 1995 to 1997. But Weichert is a relative unknown compared to Murphy and Nutt. But if history is any indication, Weichert’s background is similar to that of Beth Cobert, who by far was the best DDM during the administration of President Barack Obama. Weichert came to OMB, where she too has been serving as a senior adviser, from Ernst & Young where she was a principal since 2013. Cobert came to OMB from McKinsey and Company where she worked for 25 years. Weichert also held senior positions at Market Platform Dynamics, First Data Corporation, Bank of America and Andersen Consulting where she focused on strategy, innovation, and business process improvement in banking and payments technology. In fact, Weichert co-founded an Internet company, Achex, Inc., and sold that company to First Data in 2001. She has been named as an inventor on 14 successful U.S. patents, and served since 2010 on the Technology Association of Georgia (TAG)’s Fintech Steering Committee. Additionally, she is certified as a Green Belt in Six Sigma, Design for Six Sigma. And like Cobert, Weichert comes in without any government experience. So where Cobert listened and learned about how government works, the question will be whether Weichert continues to follow in Cobert’s footsteps or be more like other Obama DDMs who had little to no interest in management or hearing what federal employees had to say. With Weichert and Nutt, OMB still has three key management roles unfilled: the federal chief information officer, the administrator of the Office of Federal Procurement Policy and the associate director for performance and personnel issues. The other important nominee is Jeff Pon to be the director of the Office of Personnel Management. Pon, like Murphy and Nutt, also brings credible government experience. During the Bush administration, Pon was the chief human capital officer at the Department of Energy. He also was the deputy director of E-government at OPM where he and his teams brought about HR shared service centers, payroll modernization and the stand-up of USAJobs.gov. 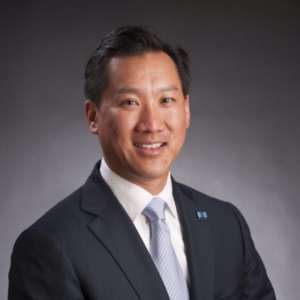 Since leaving federal service in 2008, Pon worked at Booz Allen Hamilton and later joined the Society for Human Resources Management as its chief HR and strategy officer. Pon is Trump’s second OPM nominee. George Nesterczuk withdrew his name from consideration in August after being nominated in May. Of all of these four potential nominees, Murphy, at GSA, probably is the most well-known within the government contractor and federal community more broadly. She served in the Bush administration both at GSA as its chief acquisition officer and at the Small Business Administration as a senior advisor in the government contracts and business development office. Since 2011, Murphy has led nearly every small business acquisition reform effort coming from Congress, and took on the HASC acquisition policy role in May 2016. Roger Waldron, president of the Coalition for Government Procurement, praised Murphy’s nomination. “Emily’s operational, budgetary, and policy experience in the executive branch, the legislative branch, and the private sector will be a great asset for GSA as it navigates the evolving procurement opportunities and challenges of the 21st century marketplace,” Waldron said in a release. Robert Behler to be director of Operational Test and Evaluation, Department of Defense. James Bridenstine to be Administrator of NASA. Thomas Modly to be Undersecretary of the Navy. Randy Reeves to be Undersecretary of Veterans Affairs for Memorial Affairs. R. Sharpley to be inspector general for the Central Intelligence Agency. Suzanne Israel Tufts to be an assistant secretary of administration for the Department of Housing and Urban Development. In the federal IT community, two more chief information officers are on the move. Jennifer Kron, the acting CIO of the Intelligence Community, is leaving her position in mid-September, and moving to Australia. Trump announced Aug. 18 he intends to appoint John Sherman as the next CIO of the Intelligence Community so Kron’s timing fits well with Sherman’s transition from the CIA. Kron, whose husband has been down under for about a year, will go on detail through the National Geospatial and Intelligence Agency (NGA) where she said she work with the Australian government to set up a new office of national intelligence and improve information sharing. Her last day at the Office of the Director of National Intelligence will be on Sept. 13. Over at OPM, Rob Leahy takes over as acting CIO for Dave DeVries, who is retiring from federal service to become the CIO of the state of Michigan. Leahy has been deputy CIO at OPM since January. Cord Chase, OPM’s chief information security officer, will fill in as deputy CIO until the agency announces permanent leadership.